France coach Philippe Saint-Andre has named fly-half Jules Plisson to make his France debut in Saturday’s Six Nations opener against England in Paris. 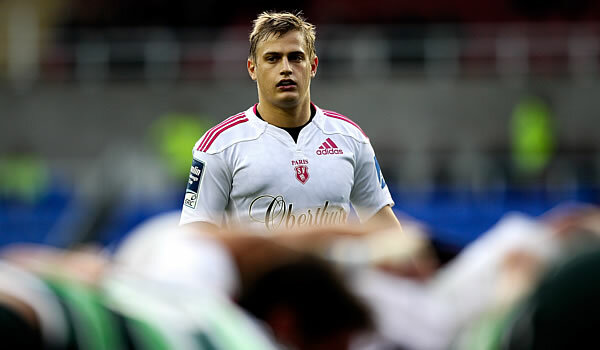 Plisson, 22, will be partnered at half-back by Jean-Marc Doussain of Toulouse, while his Stade Francais teammate Alexandre Flanquart is preferred to Yoann Maestri in the second row. Having been in outstanding form at club level, Plisson will look to lift a France side that struggled in 2013, losing eight times in 11 matches. Along with Doussain, who is also 22, they will form the 10th different half-back pairing in 22 matches under Saint-Andre. They were preferred to Maxime Machenaud of Racing Metro, who will be on the bench, and Francois Trinh-Duc, who was named in the squad in place of the injured Remi Tales but does not make the matchday 23. “Jules Plisson is young but he already has a good array of talents, in terms of style, technique and strategy. He will play in the ‘crunch’ and he will need to start well,” said Saint-Andre. Of his decision to select Flanquart, the coach added,”It is the second row that plays together all year at Stade Francais. We have brought together an experienced player with another who is very strong in the air with his touches, lay-offs. Stade Francais lock Pascal Pape will captain Les Bleus in the absence of the injured flanker Thierry Dusautoir. Saint-Andre admitted that starting their campaign against England will give France an early indication of how far they can go in this season’s Six Nations, although he was quick to dismiss any notion that they should be considered favourites. “A win would give us a lot of confidence and instil plenty of positivity in the group, but a defeat could spoil the Six Nations,” he said. “The first international match often sets the tempo for your season. We know that because last year we had a defeat in Italy (23-18) and then we had a difficult year. “You can’t be the favourites when you finished last in the 2013 Six Nations! We are outsiders. The favourites are the Welsh and the English.